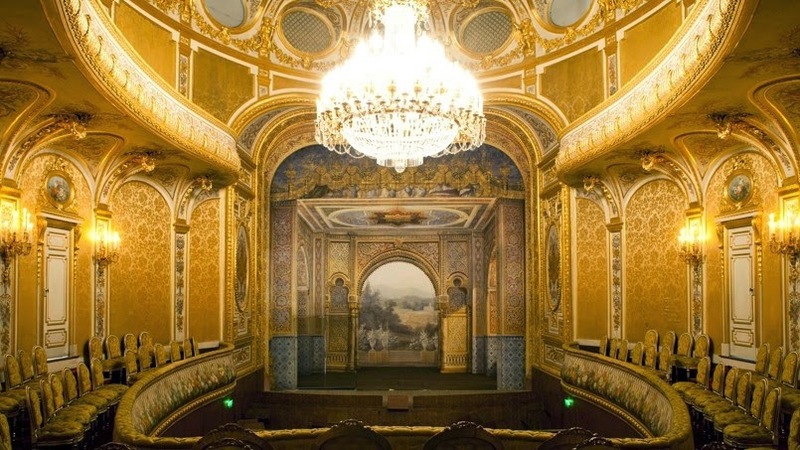 Islam versus Europe: France: Napoléon III Imperial Theatre renamed as "Theatre Sheikh Sultan bin Tannoun al Nahyan"
France: Napoléon III Imperial Theatre renamed as "Theatre Sheikh Sultan bin Tannoun al Nahyan"
The Imperial Theatre at Château de Fontainebleau, one of the premier examples of Second Empire theatres, has long awaited restoration. His Highness Sheikh Khalifa bin Zayed Al Nahyan, a great lover and patron of the arts, has generously sponsored the renovation of the theatre and its opening to the public. His Highness has supported a number of artistic projects, including the Louvre Abu Dhabi, and has pledged a renewable annual budget of five million euros to restore the Imperial Theatre at Fontainebleau. In recognition of this donation the French Minister of Culture and Communication, Renaud Donnedieu de Vabres, renamed the theatre on April 27th, 2007 in the presence of His Highness Sheikh Sultan bin Tahnoon Al Nahyan after the patron of the arts who saved it from falling into ruin. Unbelievable, initially I thought it's a joke. That was 7 years ago. Did no one protest? Just like that huh? Money really does talk loud. Simply appalling. I have linked to your post from Blazing Cat Fur. I agree with the white nationals on most issues, but this rich Arab sheikh sounds like a good guy and I suspect knee jerk reactions to the contrary are misguided. He has donated money to lots of serious western science, such as cancer research. Good for him and good for everyone. He probably appreciates classic French culture more than most white people. The alt right should applaud this man. Stupid french selling their history to Muslim invaders. Why don't the french cut to the chase and all just kill themselves as will ultimately happen once the Islamic invasion of France is over with. I agree with the white nationals on most issues, but this rich Arab sheikh sounds like a good guy and I suspect knee jerk reactions to the contrary are misguided. He has donated money to lots of serious western science, such as cancer research. Good for him and good for everyone. He probably appreciates classic French culture more than most white people. The alt right should applaud this man." You're a part of the problem.